I built these two motorcycles to go to Austin, Texas for the Handbuilt show that is on 4/20-4/22/2018. Many people want to see the motorcycles. But due to unexpected costs and delays building motorcycles I ran out of funds to go. My name is Samuel Kao and building custom motorcycle is a dream of mine. I put my heart and soul in these custom motorcycles. 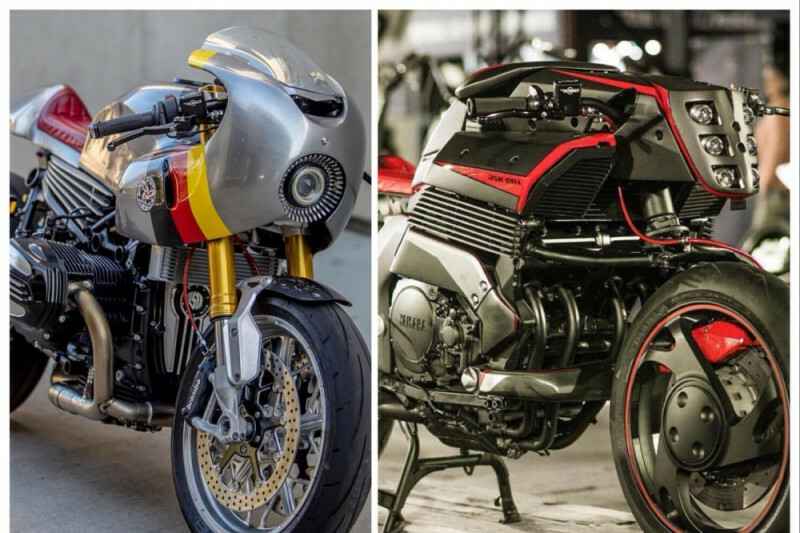 These funds will help get more people to see in person, the potential for motorcycle design. I came from Taiwan, a country who does not allow custom cars or motorcycles. It’s basically forbidden. There is an exam each year for smog compliance and to make sure it maintains a factory appearance. After five years, this exam is done twice a year. If that is not enough, the vehicles purchased there are twice as expensive compared to the United States. Building a custom motorcycle from the ground up has been a dream since I was a kid. The costs, and restrictions in Taiwan made it really hard to reach that dream if I stayed there. So I decided to come to the United States to chase my dreams in 2006, at that time I was 24. It was a long process to finish my school and start my design company on 2010. I would say, it was very hard to live without any relatives and family here but I believe I can overcome anything. Please help me to bring Project Rhodium Omega (Yamaha GTS1000) and Project Autobahn Streak (BMW R nineT) to the show. The funds will be used for the fuel for the round trip, two helpers to take turn with me to drive, and the motel rooms for the 10 day trip to get the 2 motorcycles from Los Angeles California to Austin Texas and back. I will need these funds by 4/15 to know if I can go or not. Thank you so much for your help and support!